I'm Chantal from Chantal's Corner and I'm excited to be a guest for Miranda today as part of the Canadian Beauty Bloggers' monthly guest posts! Our theme this month is green and being close to St Patty's Day I decided to try some nail art around that theme. The colours I used for this are both from essence (which I LOVE). The green is called the green & the grunge and the gold is my sunny side (from the 2013 sun kissed trend edition). 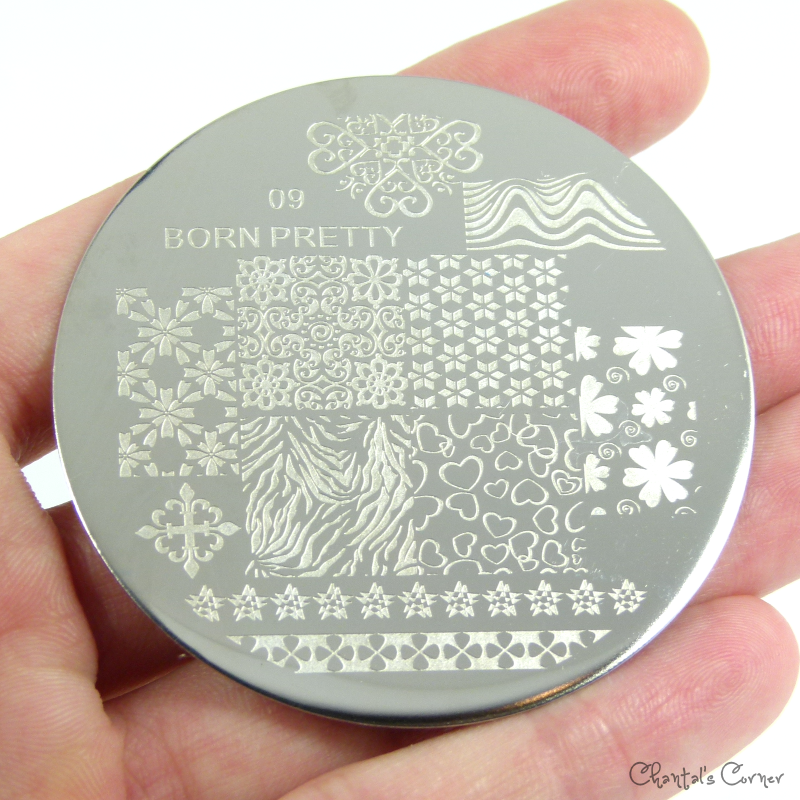 I then stamped with the Born Pretty 09 stamping plate. The plate I have is the first version of the plate; they have changed their plates since. But the new 09 plate still has the shamrock border. 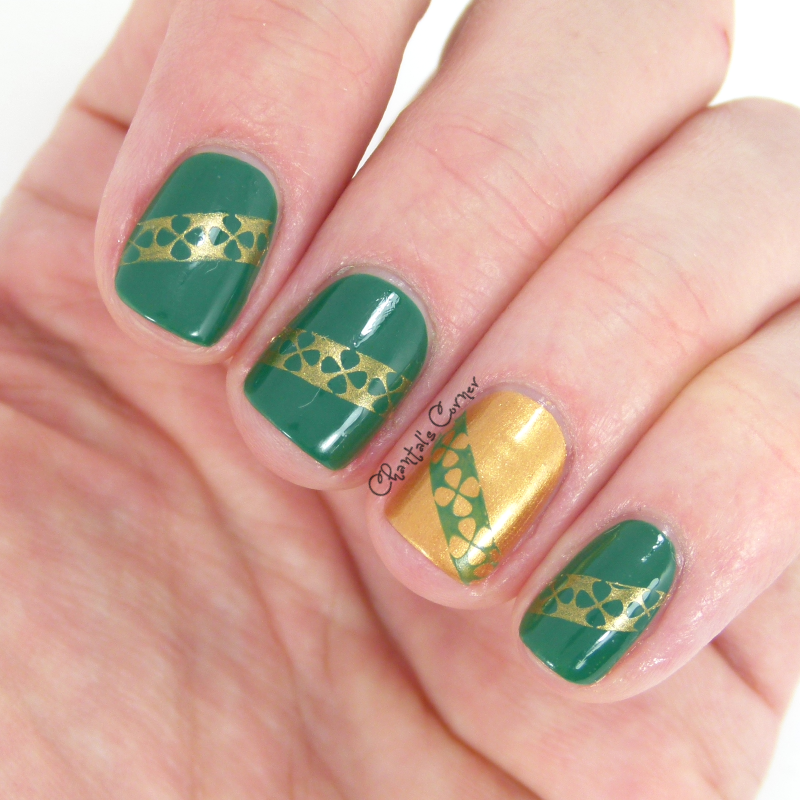 At first I wanted the border to be a straight line at the tip of my nails, but when I tried it on my right hand it was next to impossible to get a straight line with the tips, so I decided to just do random angled lines, and this is the result. 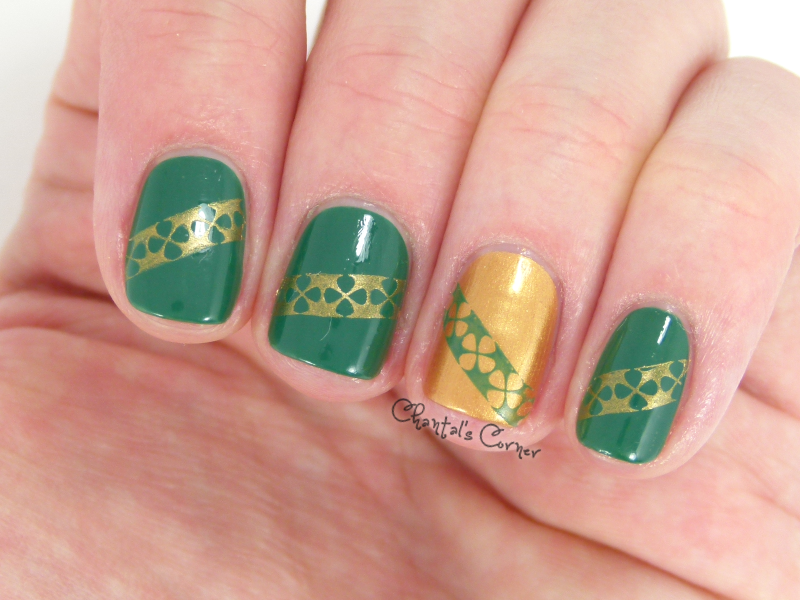 Did you do some St. Patty's Day inspired nail art? Thank you Miranda for having me as your guest today!